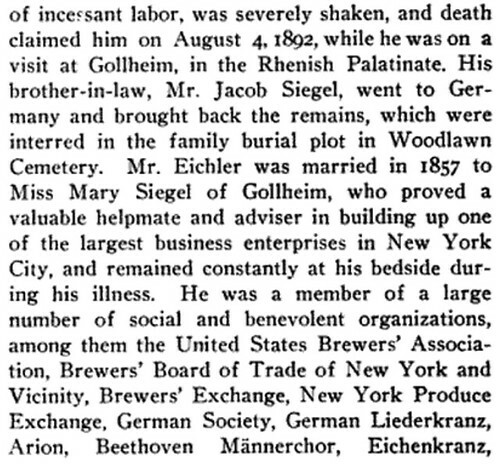 Today is the birthday of John Eichler (August 20, 1829-September 3, 1915). 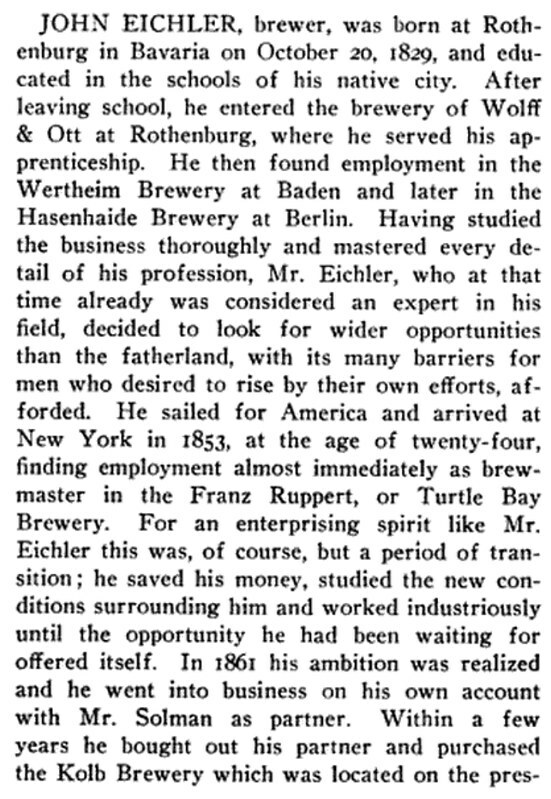 He was born in Rothenburg, Germany and trained as a brewer there, and moved to the U.S. in 1853, settling in New York City. 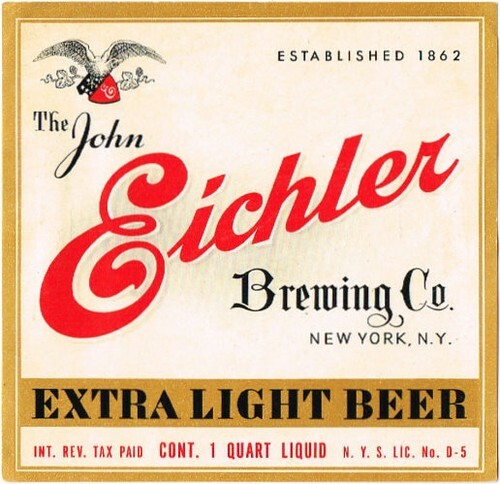 In 1865, he bought Kolb’s Brewery, which had been founded three years before by brothers Henry Kolb and Christian Gottlieb Kolb, renaming it the John Eichler Brewery (and later the John Eichler Brewing Co.). 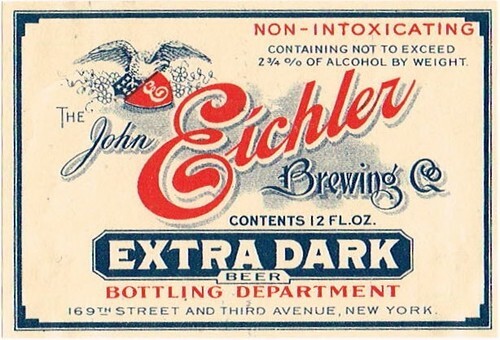 It weathered prohibition, but was bought by Rheingold in 1947. Today is the birthday of Bernhard Stroh (August 20, 1822-June 24, 1882). 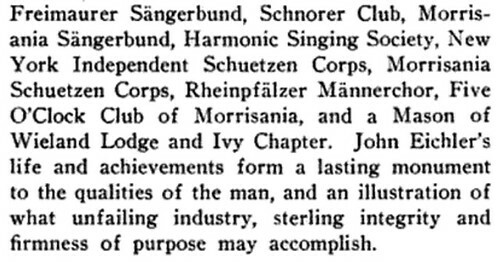 He was born in Rheinland-Pfalz, Germany, and after a detour in Brazil, emigrated to the U.S. and settled in Detroit. Businessman. 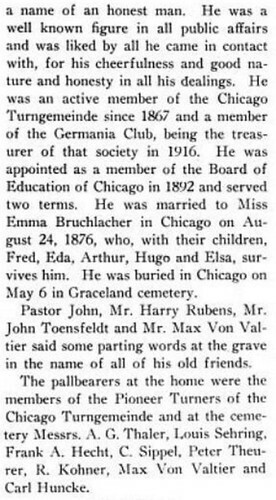 He left Germany in 1848, and joined a group of German settlers in Brazil for three years before arriving in America. He landed in Buffalo, New York heading by way of the Erie Canal. The boat he was on docked in Detroit. So Stroh took it upon him self to venture into the city. He liked what he saw and decided to stay. With a few hundred left from the Brazilian business venture he started a small brewery at 57 Catherine Street in Detroit. 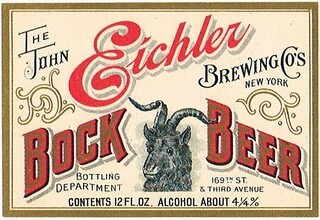 Soon after establishing his German brewery local patrons in Detroit aquired a desired taste for his German lager beer. Bernhard Stroh would have his sons personally cart small kegs of beer to his customers by wheelbarrow. For over a century now, local Detroiters have enjoyed the same “fire-brewed” taste that the Stroh Family created over 150 years ago. 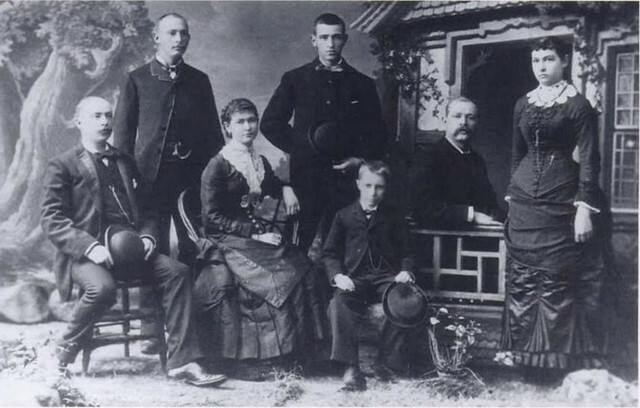 The Stroh family around 1871. Bernhard Stroh’s original beer selling operation consisted of a basement brewing operation and was then sold door-to-door in a wheelbarrow. The new beer (Stroh’s) sold door-to-door was a lighter-lager beer, brewed in copper kettles. 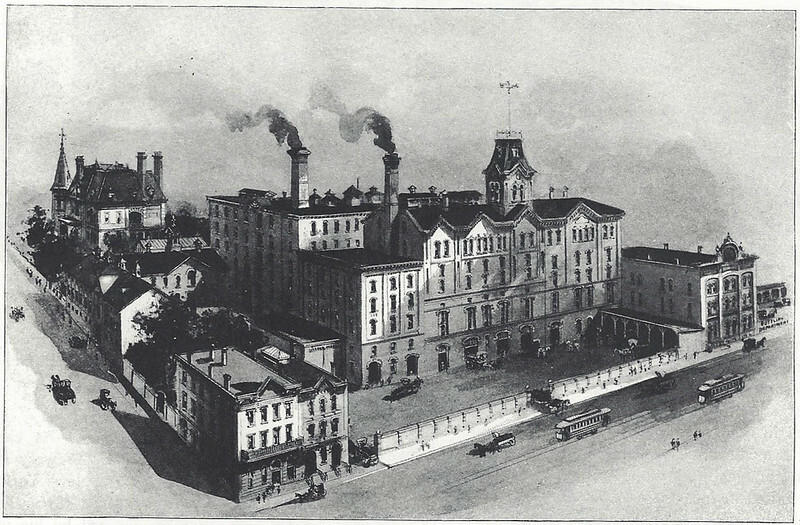 The Stroh Brewery around 1864. 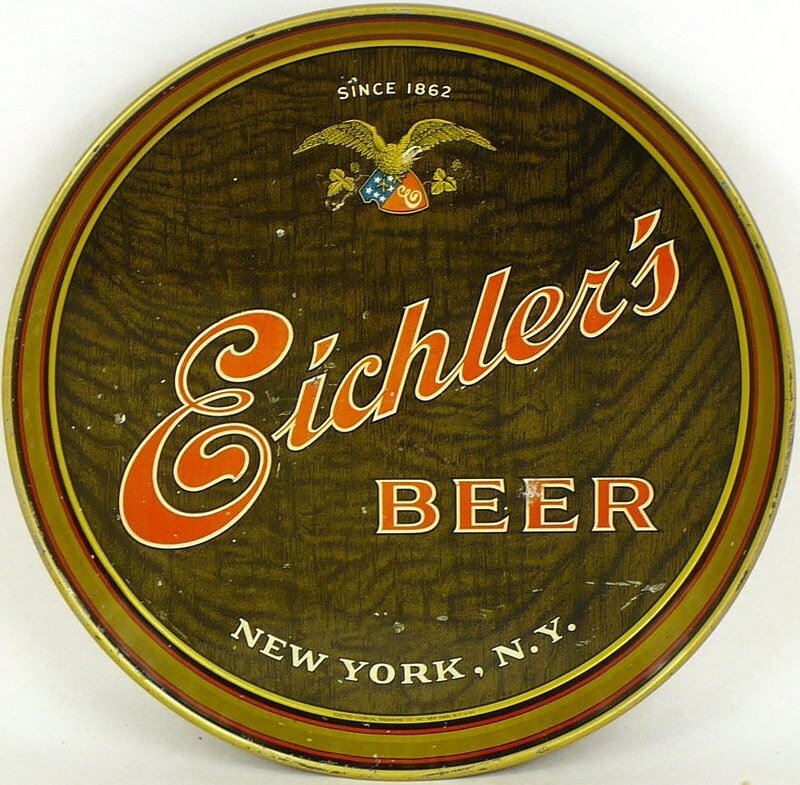 The Stroh family has a long history of brewing beer, which first began in Germany. 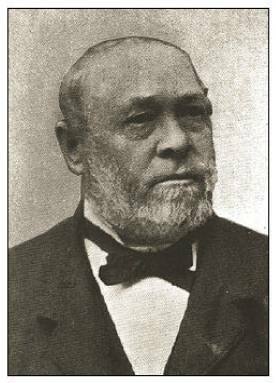 However, due to the German Revolution, in 1849, Bernhard Stroh moved the business to the United States after three years of living in Brazil. He started his company with a budget of $ 150.00. 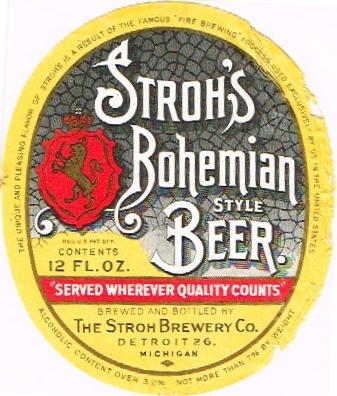 Stroh selected Detroit, Michigan as the location for his brewery and settled there in 1850. Stroh was 28 years old at the time. 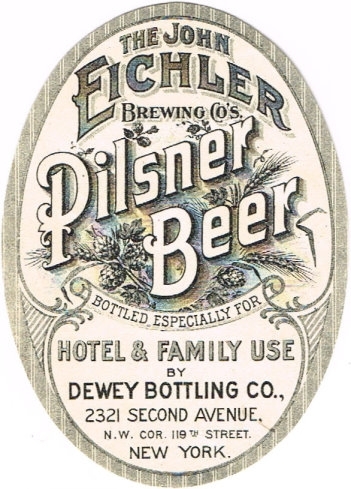 The company was known for making a Pilsner (also known as Pilzen) style beer. Pilsner beers are fire-brewed and lighter than traditional beers. 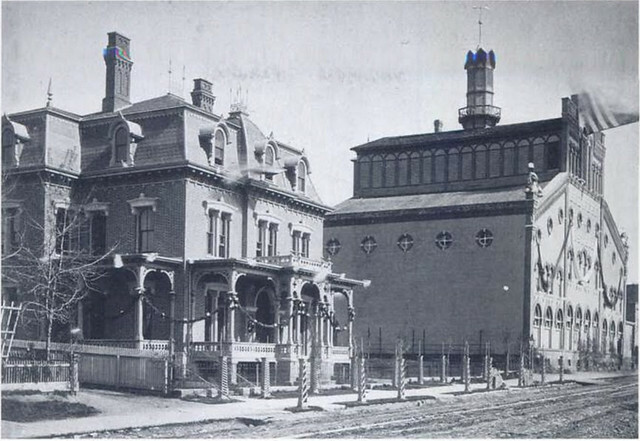 In 1855, the company increased in size, and then shortly thereafter became known as Lion’s Head Brewery. 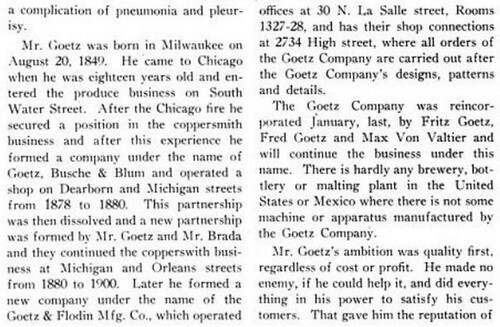 The company had been known as Stroh’s Brewery until this time. The most popular beer sold, Stroh’s, was first peddled via wheelbarrow. The new beer was brewed in copper kettles to enrich the flavor. 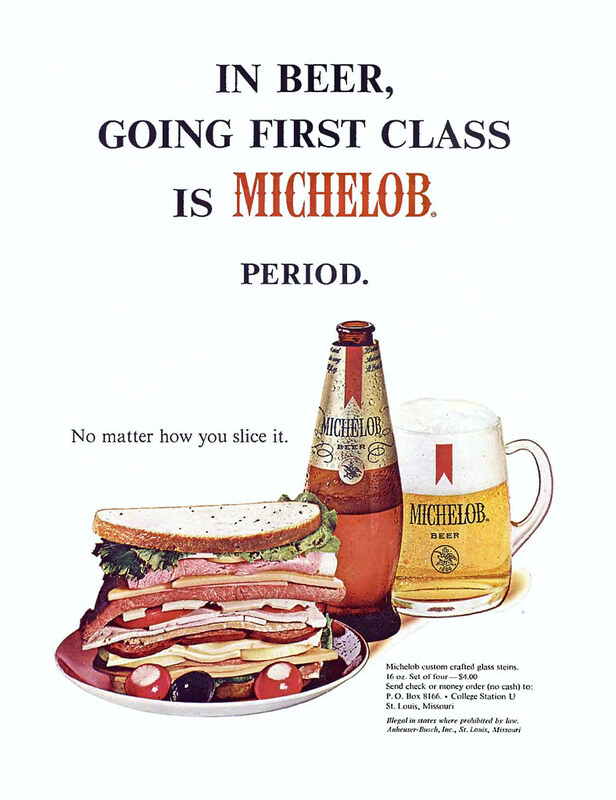 The company name was then changed to B. Stroh Brewing Company when Bernhard passed in 1882, and his son, Bernhard Junior, took over the business. In 1988, Forbes estimated that the Stroh family had an estimated worth of 700 million dollars. 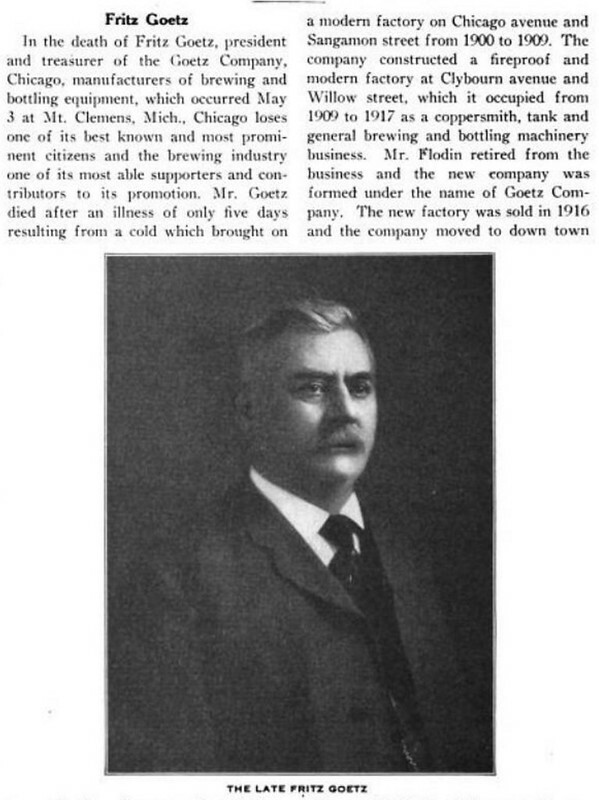 The brewing company stayed in the Stroh family until the year 2000. 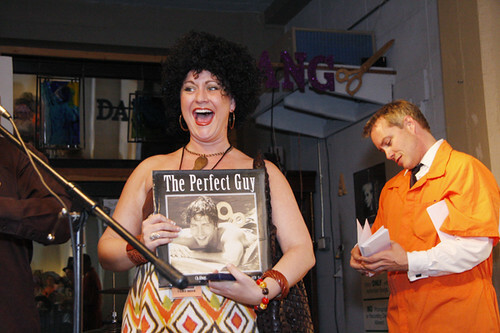 Today is the birthday of Julie Radcliffe Atallah, co-owner of one of the nation’s premiere beer stores, Bruisin’ Ales in Asheville, North Carolina. 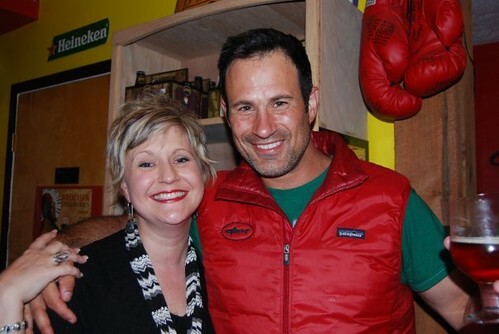 We took a family vacation to Asheville a few years ago and got to know Julie and her husband Jason. They were great hosts and terrific ambassadors for the beer in their community. 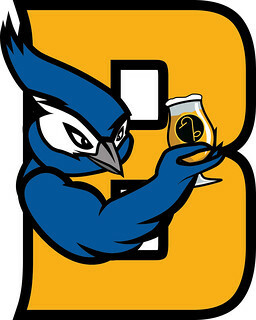 Julie is also among the elite twitterati within the beer world online and writes the Bruisin’ Ales Blog. Plus, we’re both from Pennsylvania. Join me in wishing Julie a very happy birthday. 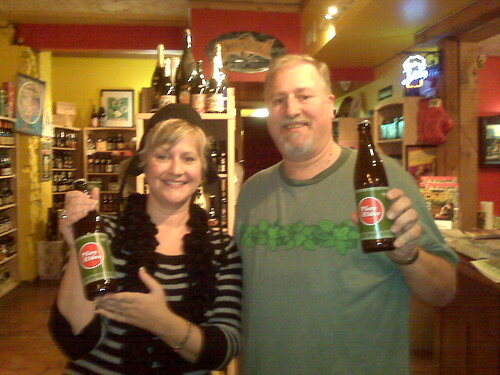 Julie and me showing off my gift of Pliny the Elder I brought when I was vacationing in Asheville last fall. 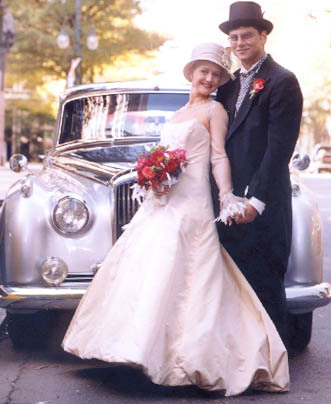 Julie and her husband and business partner Jason at their wedding in 2000. Last Halloween dressed as the beer Sexual Chocolate from Foothills Brewing. 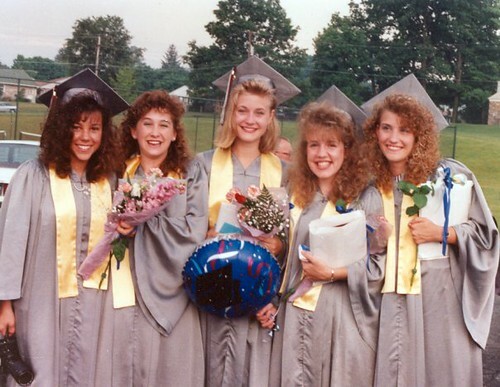 Julie surrounded by an awful lot of hair at her high school graduation. 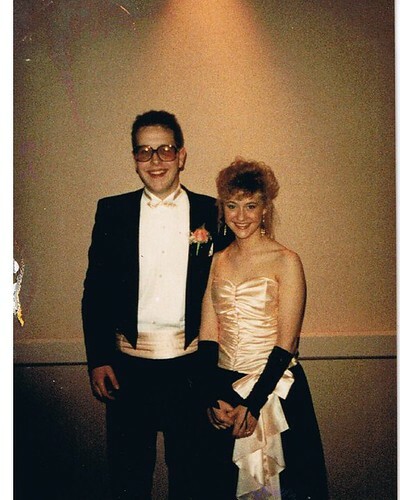 Note: Many of these photos purloined from Facebook and other sources. Brewer. A native of Germany, he was born in Rhenish, Bavaria and came to America when with his family when he was a child. After leaving school, Hauck found employment in a brewery with his uncle, Mr. Herancourt. 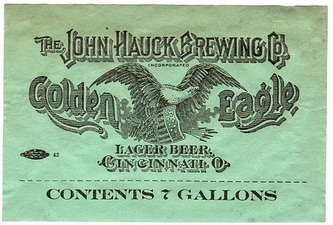 Hauck returned to Europe for a few years before returning to the United States and worked for another uncle, Mr. Billiad, in a brewery in Philadelphia, Pennsylvania. 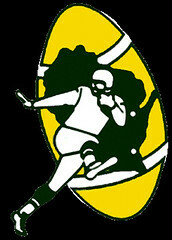 He moved to Cincinnati, Ohio and established a brewery of his own, the Dayton Street Brewery, which became known for its “Golden Eagle” brand. 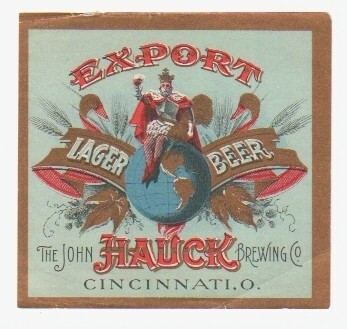 Hauck’s brewery was extremely successful and he rose to prominence as one of Cincinnati’s famous brewers. 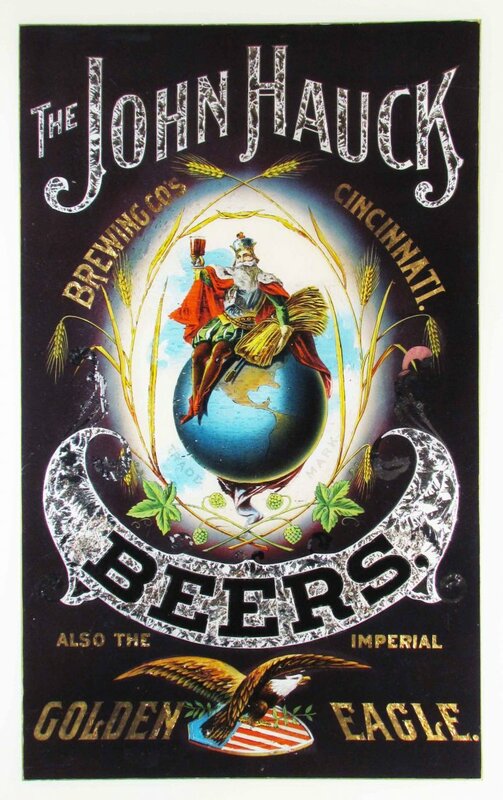 His business was later renamed as the John Hauck Beer Bottling Company in 1863 and produced thousands of barrels by the end of the 19th century. Hauck went into business with Conrad Windisch from 1863 to 1870. 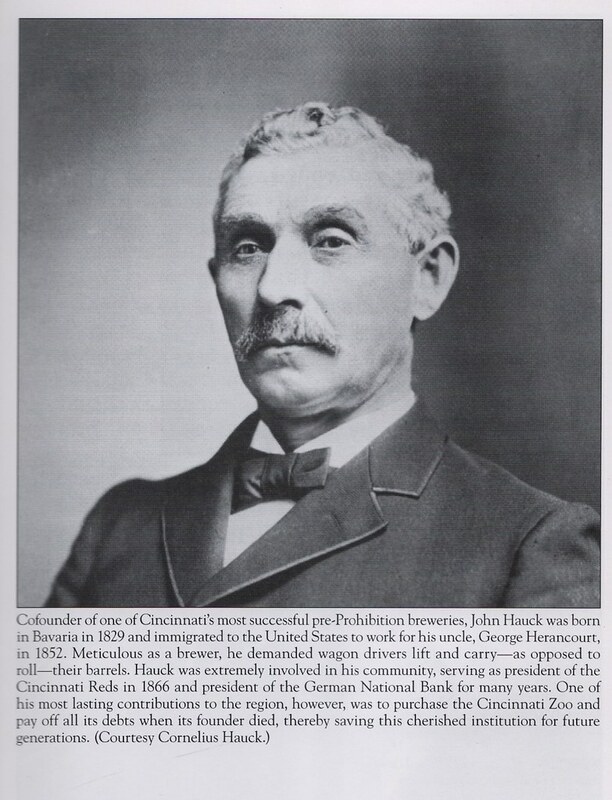 He was also president of the Western German National Bank in Cincinnati. 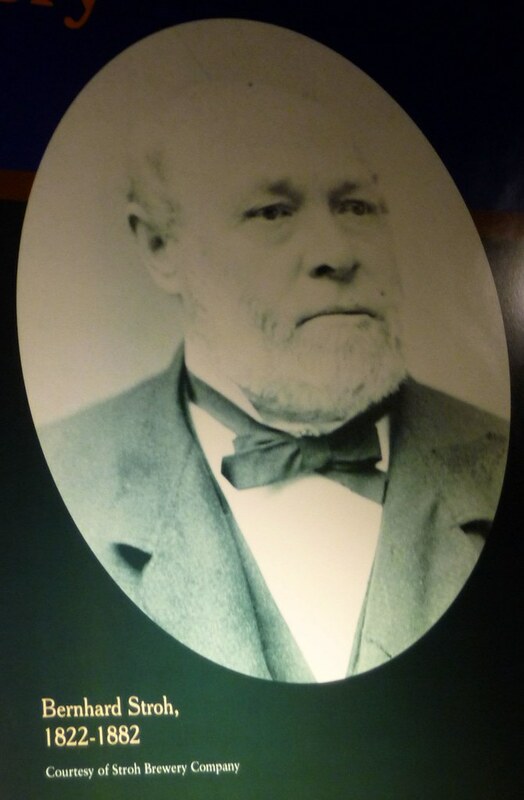 John’s son, Louis Hauck, became president of the company in 1893. 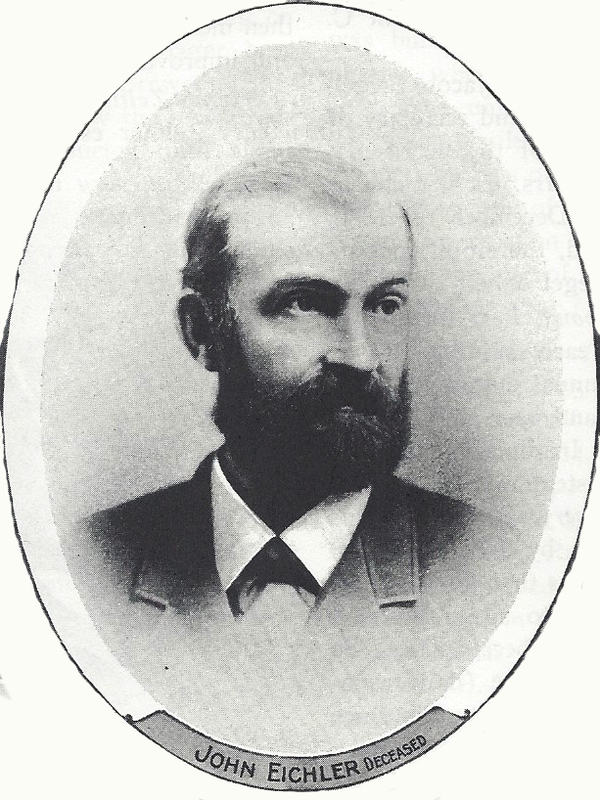 Hauck died in Newport, Kentucky in 1896 when he was 66 years old. His residence on Dayton Street later became a museum.